Ever since the election, I have been concerned about and warning others of the possibility of Donald Trump using a terrorist attack in the United States the way Adolf Hitler used the burning of the Reichstag (parliament) building in Berlin in 1933 as a pretext to seize authoritarian power and destroy our Constitutional system. When I wrote a piece about this possibility a few weeks ago, it was rejected by leading newspapers, apparently because the editors thought it too farfetched. Now the idea is beginning to be discussed in some public circles. It is time to stop whistling past what could become the graveyard of the American Republic. The United States is facing its most dire crisis since the Civil War, and the general public--pointedly including those who voted for Trump--and political leaders--especially Republican patriots--need to recognize the danger before it is too late. On Sunday, White House senior policy adviser Stephen Miller made an argument for unchecked presidential authority, proclaiming: "The president's powers here are beyond question." Trump was delighted, tweeting: "Congratulations Stephen Miller- on representing me this morning on the various Sunday morning shows. Great job!" Amidst the talk about the chaos of the opening weeks of the Trump Administration, there is a possibility even more disturbing than incompetent people being in charge of the Executive Branch: there may be an underlying objective that ties together many of the Administration's disparate, sometimes seemingly senseless, actions. There are several signs that the President, chief strategist Stephen Bannon, and Miller want to gain the sort of autocratic power that Vladimir Putin holds in Russia. Trump portrayed himself in such terms in his speech accepting the Republican nomination last July. Standing in front of a screen showing a giant image of his face, he didn't promise what Mussolini did, to make the trains run on time, but something much grander: "I have a message for all of you: the crime and violence that today afflicts our nation will soon come to an end. Beginning on January 20th 2017, safety will be restored." "I alone can fix it," he proclaimed. "I am your voice." Trump's admiration for the authoritarian leader of Russia appears to be without limits. Refusing in a pre-Super Bowl interview to criticize Putin's murders of journalists and political opponents, the American President dismissed such crimes by Russia's ruler by equating them with what Americans do. "There's a lot of killers," Trump said to Bill O'Reilly. "We've got a lot of killers. Boy, you think our country's so innocent? You think our country's so innocent?" The statement was so astonishing that retired Army General and former Assistant Chairman of the Joint Chiefs of Staff Barry McCaffrey said it may be "the most anti-American statement ever made by the President of the United States." 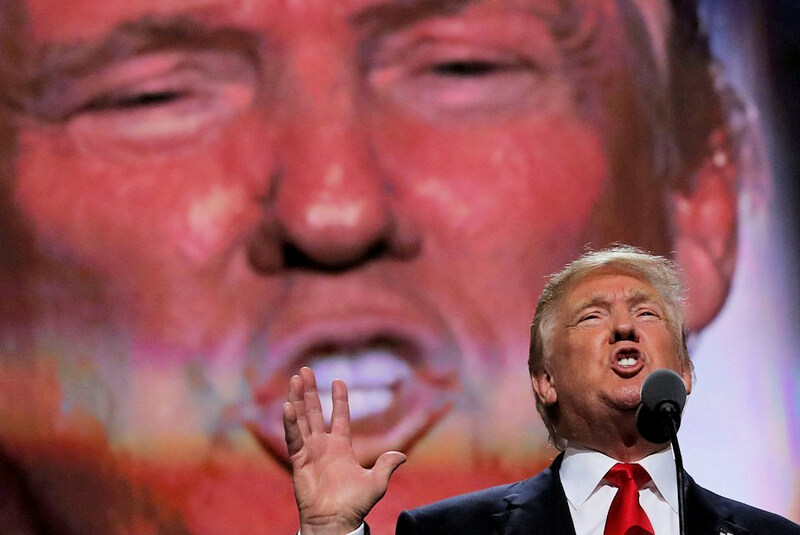 And Trump has not only repeatedly praised Putin, but has also expressed at least partial admiration for such other authoritarian rulers as Saddam Hussein, Muammar Gaddafi --and even Kim Jong-un. Trump and his aides have, moreover, already attacked both the independent judiciary and the free press in terms rarely if ever before heard in public from a President, even Richard Nixon. Bannon has labelled the media the "opposition party," which he said should "keep its mouth shut." For her part, presidential counselor Kellyanne Conway has called for the firing of journalists who "talk smack" about Trump and called lies told by Press Secretary Sean Spicer "alternative facts." The President himself said (in a lie-laced speech at the CIA the day after his inauguration) that the media are "among the most dishonest human beings on Earth." He has taken up the practice of classifying accurate media reports as "fake news" while spewing voluminous totally fake news himself. If gaining unfettered control in the United States is the objective of Trump, Bannon, Miller and company, the easiest route to achieving it lies in creating a crisis, domestic or international (or both), that would raise Americans' fear to a level at which the people would accept an interruption of First Amendment freedoms, the muzzling of an independent press, the curtailment of Constitutional checks and balances, and severe restrictions on political opponents of the President. 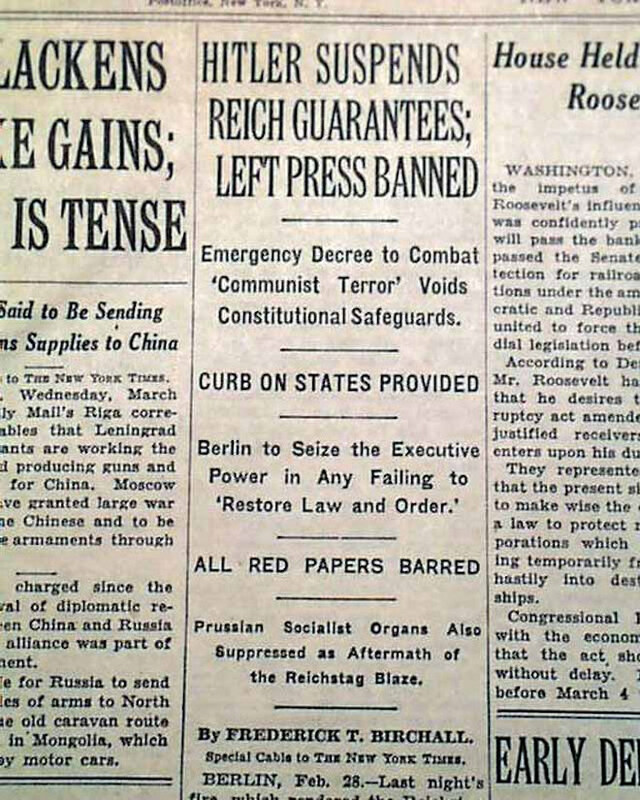 Seizing Power to "Restore Law and Order"
A roadmap to such authoritarian power was drawn in Germany in early 1933, and there are indications that the Trump Administration may be following that map in early 2017. 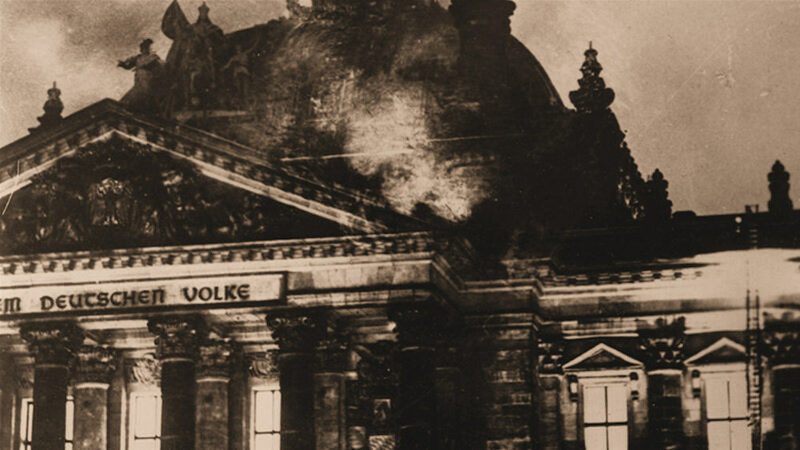 Less than a month after Adolf Hitler had formed a minority government in Germany in January 1933, a fire destroyed portions of the Reichstag building. The Nazis blamed the conflagration on a Communist conspiracy and stoked a sense of great danger that they could utilize to solidify their control. 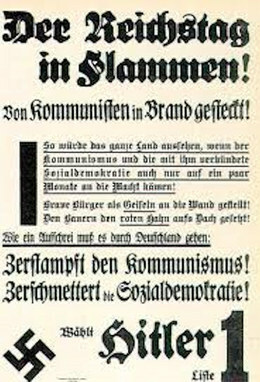 A day after the event, the German president issued, at Hitler's urging, a "Decree for the Protection of People and the Reich." It suspended due process of law and the same freedoms that are guaranteed to Americans in the First Amendment and gave the executive the power to "restore law and order." 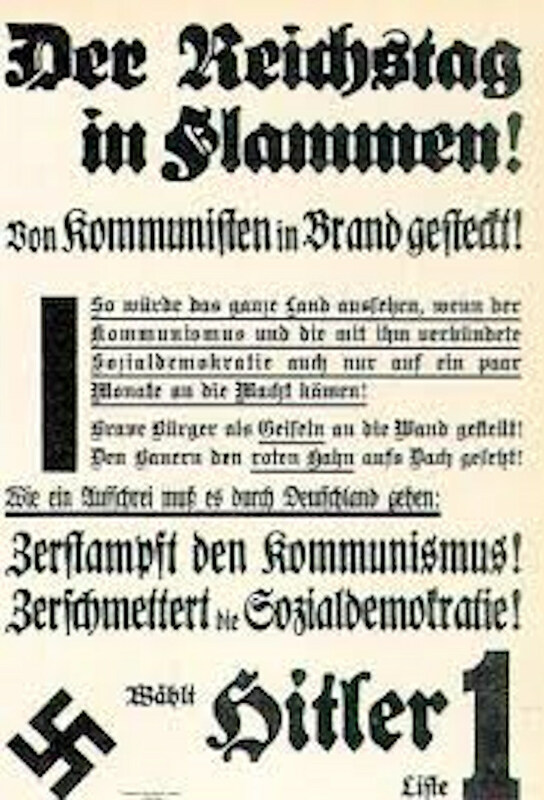 The decree also gave the Nazis the power to arrest political opponents without charging them, dissolve opposition parties, and overrule state and local governments. It essentially established a police state. 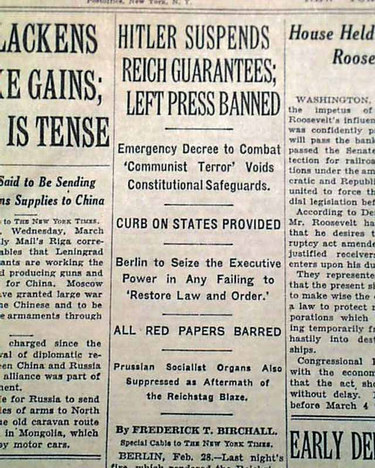 Scarcely three weeks later, Hitler's government pushed the "Enabling Act" through the Reichstag, stripping the legislative body of its law-making power and establishing the Nazi dictatorship. Most Americans are likely to respond to this parallel with words along the lines of the title of Sinclair Lewis's 1935 novel: It Can't Happen Here. But Lewis's work was intended to show that "it"--a dictator taking power--could happen in the United States. It is, of course, true that Germany in the 1930s had no tradition of democracy such as the United States does. We have far more safeguards than Germany did eight decades ago, but it is perilous to assume that something similar cannot happen here. If we are to preserve our liberties, all Americans must be prepared in advance for the possibility of a Trump version of the Reichstag Fire. "If Something Happens, Blame ..."
The Muslim ban that President Trump decreed plays into the hands of jihadists. Observers have been calling the policy "short-sighted" and saying "the Trump administration risks an inadvertent collaboration with Islamist extremists." But what if the policy is instead a piece of a long-sighted strategy that is entirely advertent? We must consider the possibility that the objective of the ban is the precipitation of a crisis that would allow the Administration to consolidate great power. In that case, the overreach of Executive Order 13769 would be a no-lose proposition for the Administration. It has already immeasurably assisted Islamic extremists in recruiting supporters and willing terrorists by fitting directly into their narrative that the United States is antithetical to all Muslims and that there is a war of civilizations between the Christian West and Islam. That is also the conviction of some of the top people in the Trump White House, who are only too happy to promote that storyline. If the ban stayed in effect, it would greatly escalate tensions between the United States and the Islamic World and significantly increase the likelihood of a major terrorist attack within this country. But if the ban is definitively struck down by the courts, it could even better serve the possible objective of creating a pretext for the Executive Branch to seize much greater power. The order already having done its damage in undermining the standing around the world of the United States as a beacon of freedom, tolerance and humanity--and in advancing the cause of jihadists--its overturning would provide the Trump Administration with a perfect scapegoat for a terrorist attack that might actually have been precipitated by the order itself. The argument would be--as Trump's tweet on blaming the court system telegraphed--that the courts and the Constitution prevented the President from doing what is necessary to protect us. The Administration has already contended that the President has the power to do anything when national security is at stake. "Judicial second-guessing of the President's determination," the Justice Department's brief defending the Executive Order said, "... at this time to protect national security would constitute an impermissible intrusion on the political branches' plenary constitutional authority." "Plenary" not being a word in common usage, it should be noted that it means "absolute," "unlimited," "unconditional." A future domestic terrorist attack could readily be cited as proof that the nation needs more executive power, a reduction in civil liberties, a curbing of the powers of the courts and perhaps Congress--in short, a "Decree for the Protection of People and the Republic" that would, for practical purposes, end the Republic. We saw after the attacks of September 11, 2001 how willing most Americans are when they are terrified to give up their freedoms for the promise of security. All Americans must be constantly vigilant, make themselves aware that the actions taken by the Trump Administration have made attacks more likely, and be fully ready to resist any attempt that might follow a new attack to curtail our liberty and the American constitutional system.